© Andrew Harnik/Associated Press Longtime Trump adviser Roger Stone speaks to reporters after testifying before the House Intelligence Committee on Sept. 26, 2017. The special counsel’s prosecutors have also zeroed in on Stone’s relationship with conservative journalist and conspiracy theorist Jerome Corsi, examining whether he served as a conduit between Stone and Assange, according to another person familiar with their interest. Corsi appeared before Mueller’s grand jury last month, and FBI agents have recently been seeking to interview Corsi’s associates, according to the person. In addition, investigators have scrutinized Stone’s communications with Trump campaign officials about WikiLeaks, according to people familiar with the probe. The question of whether Trump associates were in contact with WikiLeaks is at the heart of Mueller’s inquiry. According to charges filed by the special counsel in July, Russian military intelligence officers used an online persona called Guccifer 2.0 to distribute hacked Democratic emails through WikiLeaks. The Russian operatives also used Guccifer 2.0’s Twitter account to send messages to Stone, who has said the exchanges were benign. 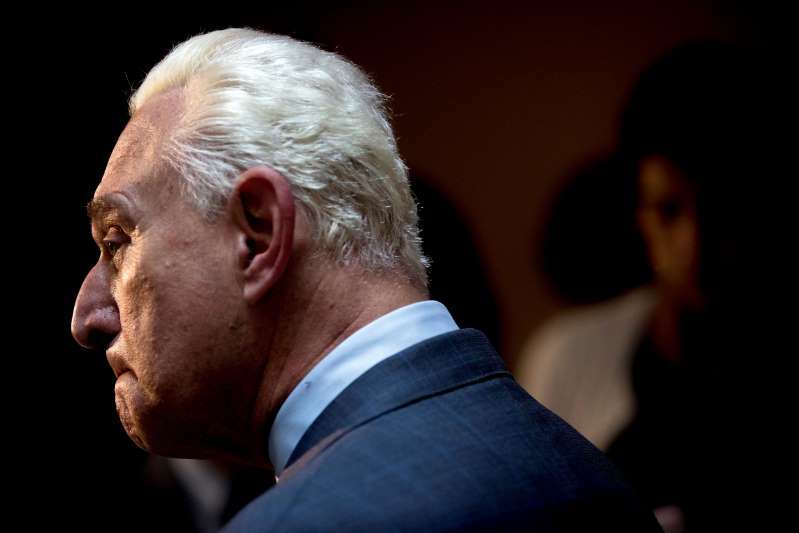 The online organization has said it had no contact with Stone. “WikiLeaks & Assange have repeatedly confirmed that they have never communicated with Stone,” the organization tweeted in March 2017. Stone told The Post that Credico “was my principal source regarding the allegedly hacked emails published by WikiLeaks,” a claim Credico has denied. Stone added that one of his remarks in 2016 predicting that WikiLeaks was about to release information related to Clinton was informed by a another journalist’s tip that he was forwarded by an associate. Stone called Mueller’s investigation illegitimate and said the special counsel, who has interviewed at least seven of his associates, is trying to pressure him to flip on President Trump. Questions about Stone’s possible connection to WikiLeaks were stoked by encouraging comments he made after the group released thousands of hacked emails from key Democratic figures, beginning on the eve of the Democratic National Convention in July 2016. Then, on Aug. 21, he tweeted, “Trust me, it will soon the Podesta’s time in the barrel.” Six weeks later, WikiLeaks began posting online emails stolen from the account of Hillary Clinton’s campaign chairman, John Podesta. Two days after his Podesta tweet, Stone appeared on Credico’s radio program. Credico asked whether an “October surprise” was coming and stated that Stone had “been in touch and indirectly with Julian Assange,” according to a clip obtained by CNN. Two days after Stone’s “payload” tweet, WikiLeaks published the first tranche of Podesta’s emails — and then dropped new batches nearly daily before the November vote. Credico has repeatedly denied passing any information from WikiLeaks to Stone. Rather, he said he may have speculated about the group’s tactics when he was with Stone. Credico has told allies that he believes Stone used him as a “decoy” to try to explain his claims of having a back channel to Assange. Mueller’s efforts to unentangle the conflicting accounts of Stone and Credico are complicated by the fact that both men are voluble showmen. They became friends in the early 2000s through a shared interest in liberalizing New York drug laws but have split bitterly amid scrutiny from the special counsel. Stone said he believes Credico had sources connected to WikiLeaks and said Credico offered to get information from Assange’s circle for him. Two Stone associates, filmmaker David Lugo and attorney Tyler Nixon, also told The Post that Credico acknowledged in conversations last year being the source of material for Stone’s statements and tweets about WikiLeaks. An attorney for Credico declined to comment on Lugo and Nixon’s claims. For his part, Credico said he recalls that Stone claimed in a September 2016 conversation that he had a mystery WikiLeaks contact. Credico said that he wasn’t sure at the time whether to believe him. “I remember saying, ‘Roger, I thought you had a back channel,’” Credico said. “He said something to the effect of, ‘Yes, but I can’t use him all the time.’” Credico relayed that account to the grand jury last month, according to a person familiar with his testimony. Stone at first denied Credico’s claim that he suggested having a conduit to reach WikiLeaks, calling his old friend a “perjurer” and saying he’d relish the opportunity to confront Credico in court. Later, Stone acknowledged to The Post that he “obliquely” told Credico in an email that he had “a second source” of WikiLeaks information besides the New York comedian. Stone has also said that he was getting information about the Clintons in 2016 from Corsi. He told the House Intelligence Committee that his Podesta tweet was “based on a comprehensive, early August  opposition research briefing” from Corsi. Corsi gave a similar account in a March 2017 Infowars column in which he named himself as Stone’s source for the Podesta tweet and confirmed Stone’s timeline, saying they’d had detailed conversations about Podesta from Aug. 14, 2016, through Aug. 31, 2016. Corsi’s attorney, David Gray, said in an interview last month that Corsi had been subpoenaed by the special counsel, who indicated he was interested in Corsi’s communications with Stone in 2016 and 2017. Gray declined to comment last week. In an interview, Stone suggested that the special counsel may actually be interested in Corsi’s relationship with Trump. Around that time, Trump took up the conspiracy theory, questioning Obama’s citizenship and demanding that he release his birth certificate. Stone said that during a conversation with Trump in 2011, “he said to me, ‘Who is this guy, Jerome Corsi?’” Stone recalled. “I’ve been talking to him,” Stone recalled Trump saying.